Meta Therm Furnace Pvt. 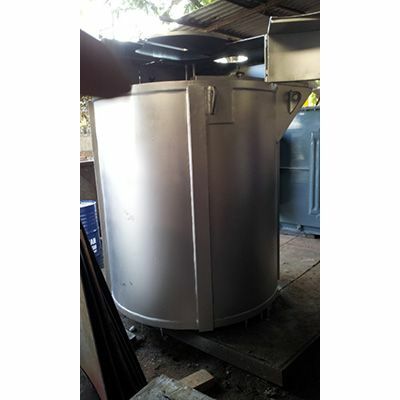 Ltd offers exceptional salt bath furnaces for heat-treating the material in an active or neutral salt bath. They offer excellent heat transfer and high-temperature uniformity. Being one of the most reliable Salt Bath Furnace Manufacturers In Mumbai, we keep track of the latest market developments and customize our products based on that. Equipped with advanced features, this furnace can be used in heating a variety of materials whether it is steel or a lighter metal. We have also taken care of the safety features to ensure better working conditions for the operator. You won’t find a Salt Bath Heat Treat Furnace of this quality at such a reasonable price range. Temperature Uniformity - Temperature uniformity is essential in heat-treating a metal, and this furnace provides exactly that. Excellent Heat Transfer - The heat transfer from this furnace is optimum for any kind of metal. This quality has made it a highly preferred furnace among our clients. Versatility - This furnace is perfect for a wide variety of applications from tempering, annealing and hardening to normalizing. Our company is known as one of the topmost Industrial Salt Bath Furnaces Exporters and Suppliers in India. Give us a call right now to place your order.